Volvo considers rival for Audi A1 | What Car? An upmarket five-door supermini to rival the Audi A1 is something Volvo CEO Stefan Jacoby will consider as the company seeks to expand its market penetration. We will not follow all our competitors into all segments, but people are beginning to downsize and we will take this into consideration, he said. I believe we could have a five-door hatch, but our intention is to be more distinguished. We will do the core elements of the technology ourselves, especially the powertrains, but that does not mean we are not looking at some collaborations over other aspects. 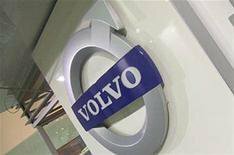 Volvo, which passed from Ford ownership into the hands of the Chinese company Geely just over a year ago, is currently re-examining its brand values. Jacoby says he wants the company to define [its own] interpretation of luxury and design its cars around people. In the future, he wants Volvo cars to be more Scandinavian in terms of their colours and materials, and simpler and more intuitive to use, like an iPhone or iPad, while retaining the companys focus on safety and environmental concerns. We are not yet there. Our new product strategy is part of that, he said. If I may criticise what has been happening, there have been too many compromises, and our design has not been wholly where I see Scandinavian design. I want to get to the point where you dont need a handbook or an instruction manual, but it will take some time. I want us to differentiate ourselves from our competitors. If I copy them [the Germans], I can never beat them. We need to find our own way.